Super positive reviews are building on Amazon and Goodreads, and I’ve been completely touched by some of the comments regarding “The Poetry of Santiago,” my story in the collection. Through the end of 2015, Editor Chris Pourteau will donate $1.00 per book sold, regardless of format, to Pets for Vets, Inc., non-profit organization that matches shelter animals with military veterans. So if you are looking for a good cause, and a great collection, check it out. So What Actually Sells Books? After trying a bit of pretty much everything short of voodoo to sell my books, and I would probably try voodoo too if I thought it would work, I’ve developed the following list based on my experience. 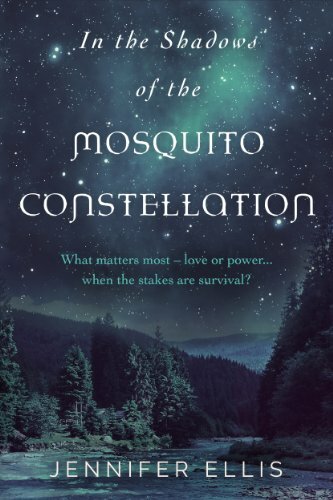 And remember, this is based on trying to sell a middle-grade fantasy series, some stand-alone dystopian and environmental fiction, and a spicier romance series under my pen name—so if you are trying to sell something completely different maybe my experiences aren’t relevant. I've divided my list into things that work really well, things that work sort of well, and things that don’t seem to work at all for me. This is no surprise. For whatever reason, Bookbub ads, if you can get them, move books. In my experience, they move five to fifteen times the number books than other ads do, and usually pay for themselves, even at the lower 35% royalty that you get when your books are discounted. They also tend to result in a longer tail than other ads, whereby your sales don’t drop off immediately the day after the ad. With my most recent Bookbub ad, sales continued on for fifteen days following the ad. Again nothing new here. My middle-grade books are in a series, and my pen name books are in a series. They outsell my stand-alone books by a wide margin. If you write in a series, and can hook people on the first book, you can much more easily sell them more books. But books in a series don’t just sell better because of the buy through sales on subsequent books in the series. In my experience, the first books in each series also sell better than stand alone books, which is a bit surprising, but perhaps people are just more attracted to books in a series. I've already blogged about this, and I’ll say it again. You still have to have a good product, and you have more competition, but it's just an easier sell. I will report back on this more later because I don’t think I’ve fully explored the opportunities associated with my pen name yet (mostly because writing and marketing for two people is difficult). 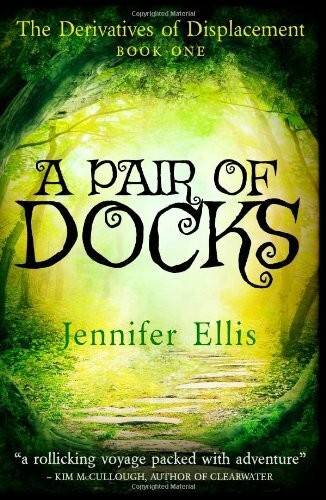 When I had my most recent Bookbub ad on A Pair of Docks, I discounted all three books in the series to 99 cents. I was then able to advertise a time limited offer on all three books which got some traction on social media (I used bit ly links to track the number of clicks from Twitter and Facebook). I'm pretty sure I moved way more books during my promotion (albeit at the painful 35% royalty) than I would have otherwise as people impulse bought all three—about a third of the people who bought A Pair of Docks purchased A Quill Ladder and A Grave Tree at the same time. Surprisingly, I’ve actually sold a decent number of books this way (about five percent of my total sales), enough to make it a worthwhile undertaking, and because the markup on books in Canada is fairly significant, I can make about two to three dollars a copy, depending on my shipping costs. Living in a small town and having lot of people who know me, and who are curious about what I do, helps on this front, as does some generally positive word of mouth about my writing (at least what I’ve heard is positive :-) ). When I was first writing for the pen name, I released three novellas in one month—one every week and a half. During this time, my sales were as high as they've ever been. It was not a schedule I could maintain because of my other writing commitments, but it was interesting. As soon as I stopped releasing them as quickly and went to a once-a-month release schedule, my sales dropped off immediately and now only hover around a tenth or third of what they were during that initial period. You would think that releasing something once a month is rapid enough, but apparently it isn’t. I know not everyone loves Kindle Unlimited (KU) for a variety of reasons, and I understand the desire not to be dependent on Amazon, but the Kindle Edition Normalized Pages (KENP) read do generate revenue… I guess not sales, but these days, my KENP revenue is generally at least a quarter of my sales revenue, and some months exceeds it. Even though the sales on my series from my Bookbub ad have trailed off, the KENP read have not yet dropped as significantly. So since I have yet to gain any traction on the other sales channels, not that I've given them as much of a try as I have KU, I am a pretty big KU fan, in the short term at least. Ads other than Bookbub do move books. They just for whatever reason don’t move as many books—sometimes not enough to pay for the cost of the ad. There are better ad sites and worse ad sites—I have blogged about these before. I tend to use these other ads in conjunction with each other or in conjunction with a Bookbub ad. They are useful as part of an overall sales strategy but alone none of the ones I’ve ever used sell a tonne of books. Surprisingly, and I know this goes against conventional wisdom, but I’ve moved books through Twitter and Facebook (and I'm not talking about ads), especially Twitter. I would not say a lot, but Twitter and Facebook are free, and by using hashtags regarding specific reading interests such as #timetravel or #paranormal and #kindleunlimited on Twitter, or posting (judiciously) in specific reading interest groups on Facebook, you can put your books in front of certain readers. Since pictures get more attention on both platforms, using attractive graphics or splashes of your book, with quotes or details of your sale can help too. But I think the targeting with hashtags and in groups is a key element of selling a few books this way. Okay I don’t actually know if blogging regularly sells books, but I definitely have seen a steady increase in website traffic over the last three years. So I can’t help but think that might help. Then again my pen name’s website gets zero traffic and those books still sell just as well as my regular books, so that could be utter crap. Again I can’t prove this, but I think that being part of some high profile anthologies, such as Synchronic, Tales of Tinfoil, and Tails of the Apocalypse has convinced some people to try out my longer works. Facebook ads (I know this goes against the Mark Dawson wisdom and I’m going to give them another try), blog tours (although they’re good for getting some reviews), writing reviews of other people’s books for review sites (although that’s fun), free promotions (although again they generated some reviews), writing about the environment (cause apparently unfortunately nobody is interested), and making a novella unrelated to a series permafree. I wish these worked, but for me they haven't. I have to say I am a bit leery of free promotions now, as for whatever reason, they've always had a damping effect on my sales, both during the promotion and after the promotion. If you do a free promotion, then your lowest price is on record as being free (and people can easily track what your lowest price was). That might make them less inclined to buy at anything other than free. I also find that sell through on a series on free promotions is around three percent, whereas on 99 cent promotions it is more like thirty percent. Of course this isn't surprising. People will grab free stuff, perhaps without any intent to read it. Still, it is something to consider in your overall strategy. I have yet to try making the first book in a series permafree, but I expect that's next on my list. What about you? What has been your experience? Sign up for my mailing list and get two free short stories and a guide to Indie publishing!